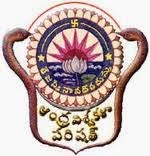 Andhra University, Visakhapatnam, Very Shortly announced AUCET 2014 Results at www.audoa.in and www.andhrauniversity. eud.in/doa. AUCET 2014 Results also available at www.manabadi.com, www.schools9.com, www.manabadi.net.in. and www.manabadiresults.co.in. Andhra University Common Entrance Test (AUCET) 2014 for admission into university’s post-graduate programmes and AU Engineering Entrance Test (AUEET) 2014 for admission into its integrated and twinning programme in engineering, will commence on May 12, 2014. Admission into programmes of Dr. B.R. Ambedkar University at Etcherla, Srikakulam will also be done through these entrance tests. All details of AUCET and AUEET 2014 are available on the websites www.andhrauniversity. eud.in/doa and www.audoa.in. This year the eligible candidates should apply online for admission into various courses through AUCET and AUEET-2014. AUCET 2014 Application registration and processing fee is Rs.350 for AUCET 2014 and Rs 600 for AUEET 2014. Bank commission would be additional. A helpline team at the office of Directorate of Admissions would clear doubts and resolve problems for the candidates while filling the online applications. Submission of online applications commence on March 25 and the last date for submission without late fee is April 15, 2014.